Many of us know guys who have played football or lax with concussions during high school and college. Players will still not say anything to teammates, coaches and parents after having their bell rung in fear that they will miss the next play or game because of the diagnosis of a concussion. What my interviews uncovered was a new trend in football that aims to identify high-impact collisions using technology such as helmet sensors in order to make it safer for players because of new sideline concussion protocols implemented to prevent brain re-injury. Football participation numbers at the youth level here in America have dropped at nearly a ten percent rate over the past two years. If this trend continues the long-term effect to the NFL is they will have fewer players, watering down the top level of play, something NFL owners already know. NFL sports business overseas expansion to London, Europe and elsewhere around the world may actually increase the overall pool of players who want to play professional football offsetting the amount that have quit or will now never play in the United States because of health issues related to brain injury. Boy’s not playing tackle football because parents consider the risk of brain damage to be too high for an organ that is still forming is a rising trend. By wisely collaborating with technology in order to create a safer game, the NFL understands as a sportsbiz what they need to do to help alleviate the uneasy feelings parents and players have towards quality of life issues that brain injuries cause like memory loss, depression and dementia. A TBI is a serious injury for any age Sports Techie no matter how they happen. A recent study indicated that four or more weeks are necessary to complete the healing process of a brain. In football terms that could be half a season or no playoff games if it happened at the end of the regular season. Can changing the new mindset that football is dangerous for the brain work? For sure but it is going to take a serious change of priorities by 30 NFL owners to spend whatever it takes tech wise for additional head safety because it’s the right thing to do for the game and players. The NFL Head, Neck and Spine Committee and the Player Safety Advisory Panel feel that it is safer for a player to wear one helmet for the entire season and that a helmet break in period is important, while manufactures and other vendors argue helmets are ready wear in practice or a game right out of the box. Sports Techie, My gratitude goes to Intel and to the marketing teams at Riddell, Schutts and Xenith for speaking with me about helmet sensor tech. No question, the $765 million NFL concussion lawsuit settlement figure is large and a significant step towards putting the concussion era behind us. Using the $10 million set aside for research and development is another good step. But is it really enough? Let’s face it; football is probably the most high impact team sport on the planet. Sure lacrosse and rugby are tough, high-impact sport, and on an individual level, it does not get any rougher than a MMA fight inside the UFC octagon. With all things considered, the linear and rotational forces created by a football hit to the helmet being the same kind of force as a car smashing into a wall going 30 to 60 miles per hour, has to take the cake in terms long term effects such as CTE, Alzheimer’s and Parkinson’s disease. Clearly the NFL needs to publically step up and commit to spending a great deal more of the billions in profit they generate per year on improving helmets with sensor technology to help identify high impact collisions to the brain. 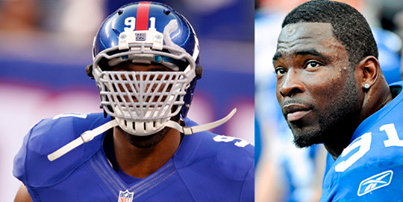 The “League of Denial” needs to stay proactive rather than reactive with helmet safety. 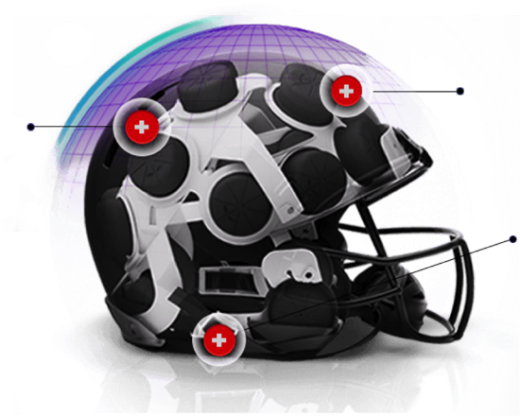 By using helmet sensor wireless data together with careful observation by coaches, measures are now be taken on the sideline at Pop Warner games to assess the extent of any possible brain trauma by following a well laid out medical protocol given by trained personnel such as a doctor, trainer or a first aid qualified sideline official. NFL Playbook. There’s an app for that! I ask myself if we will allow our six-month baby son to play youth tackle football at the age he wants to (should he want to) or will he be forced to not play because we as conscientious parents feel the danger to brain injury is too high right now until helmet technology says otherwise. All things considered, I advise the Sports Techie community to stick to playing youth touch football until at least middle school if not high school. As much as I loved my 5th grade football team in 1975, my brain certainly did not need the unrestricted pounding. 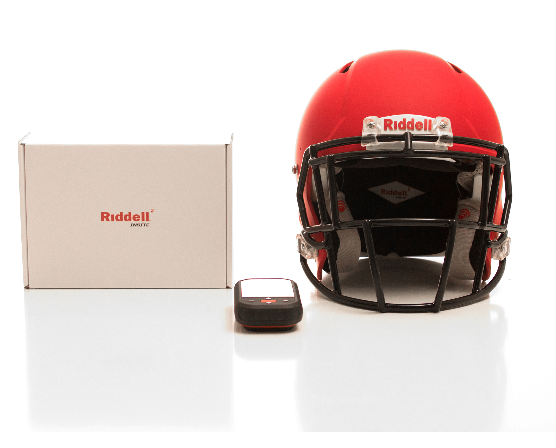 Integrating new sports technology into football such as Riddell InSite helmet sensors are steps in the right direction by USA Football for this Sports Techie parent to consider a change of mind, but is it enough for you? Leave a blog comment or social media network comment at one of the links below whether you plan to allow your kid to play tackle football or not because of the fear of concussions.